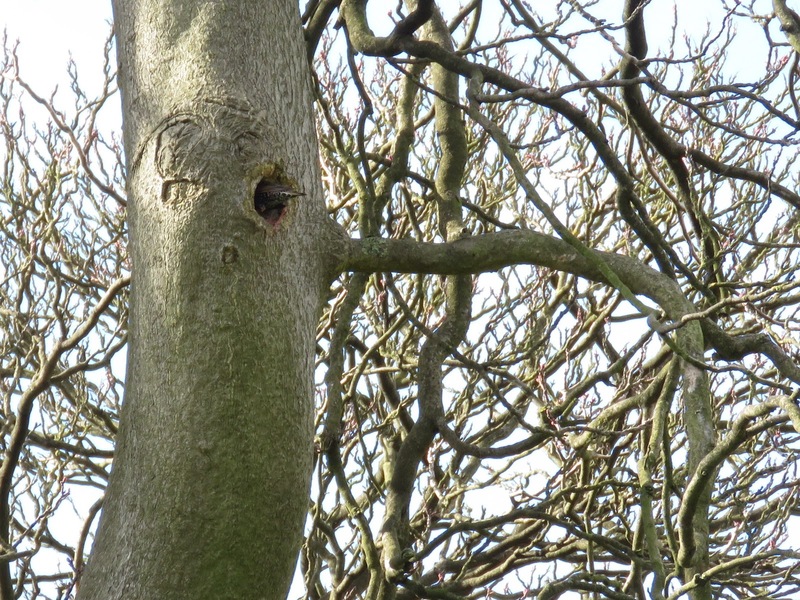 Some birds make nests from scratch, building them from twigs, branches, spider's webs, lichens or mud. Others need a hole to nest on, and they will use natural holes or those drilled by other birds. This post is about two such 'nest snatchers' I've watched recently. In the last few days, I've noticed starlings moving a lot of back and forth between an Ash and the grass lawns in my local park. Yesterday, they were actually using last year's Great Spotted Woodpecker's nest. 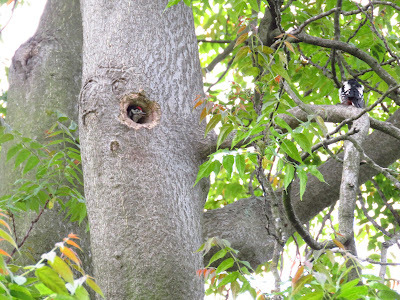 Woodpeckers have a reputation for feeding on the chicks of hole nesting birds, but they also might be providing them with the nest hole in the first place. The other nest snatching event happened just in front of my house. 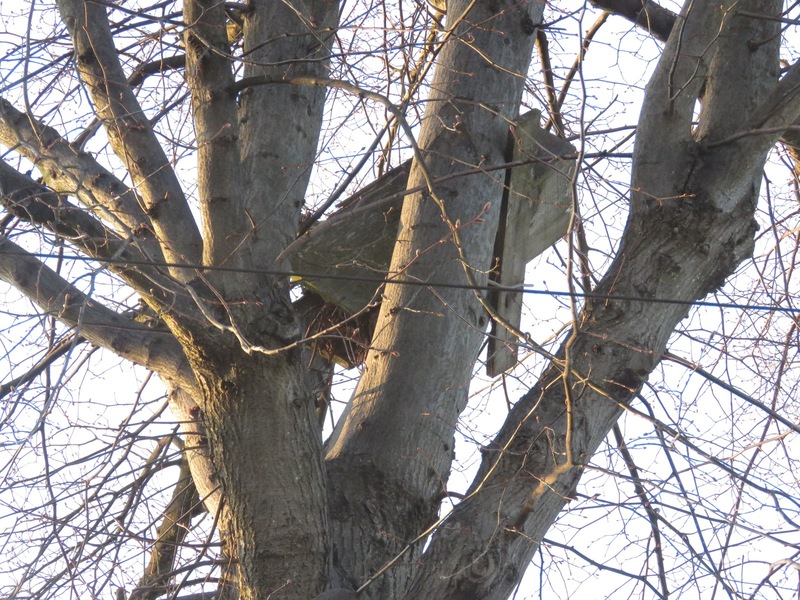 There's been an owl box in the Lime tree in front of the house for over 15 years. It was well used, the hooting and gurgling noises of the Tawny Owls from the nest very obvious in the night. A few years ago the bottom of the nest fell off, and the sky was visible from the ground. On Valentine's day the next year the owls called from the nest, probably inspecting it, but it was deemed useless and we stayed owl-less for a few years. 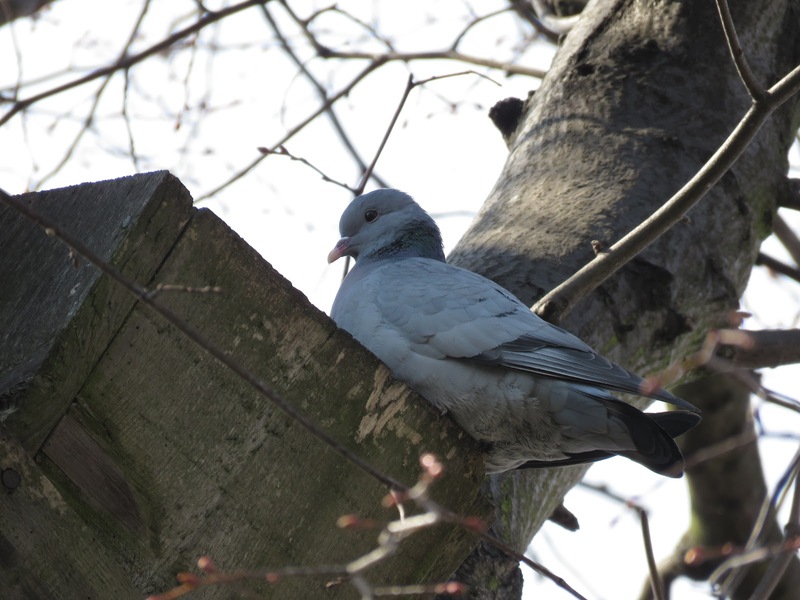 This year, Stock Doves showed a lot of interest in the owl house (top shot taken 9th April). They stuffed the box with branches, and miraculously, the branches stayed, the box had been repaired! The repaired nest, branches sticking out at the bottom. The booming call of the Stock Doves greeted me in the mornings as I left for work. Until one night we heard a Tawny Own hooting. 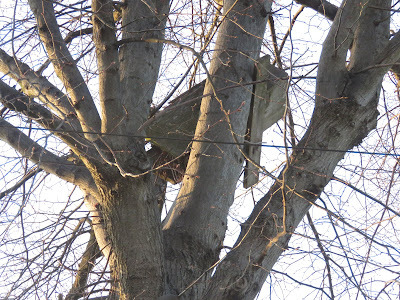 The owl was actually sitting atop the nest, calling, then flew off low over the roofs. The owls have been calling regularly since, and I guess they have taken possession of the owl box and evicted the Stock Doves. 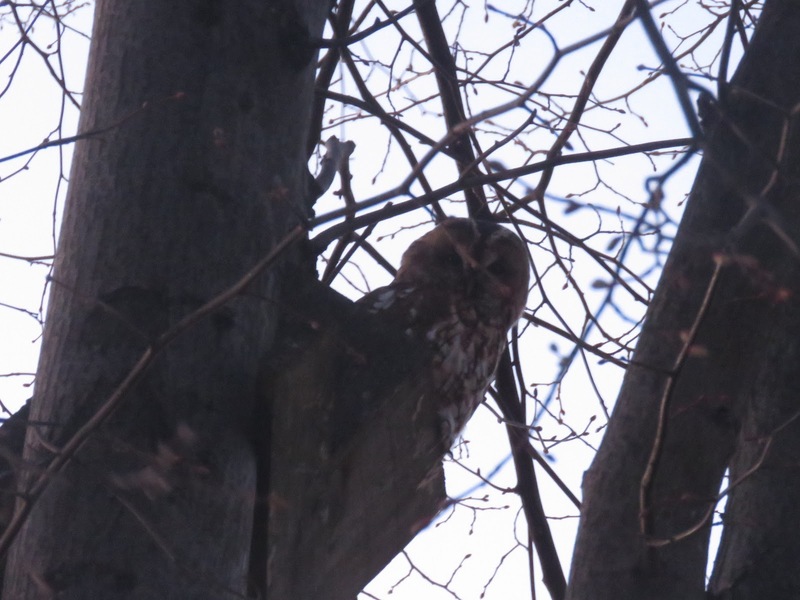 Tawny Owl watching us from the nest box (20th April). Very interesting. One of the pairs of Little Owls in Kensington Gardens has a dispute with Stock Doves every year for the possession of a hole in an oak tree. It's a more evenly matched contest than with Tawny Owls. The doves won last year and the year before, but this year the owls have got the hole, and I saw one of them actually attacking a dove and chasing it out of the tree. Thank you Ralph, there must be so many of these disputes taking place inside holes which we can't see!